The 2019 Live Cinema Series continues at Gesa Power House Theatre with a screening of the current Royal Ballet production of "Don Quixote" on Wednesday, March 20 at 6:00 p.m. 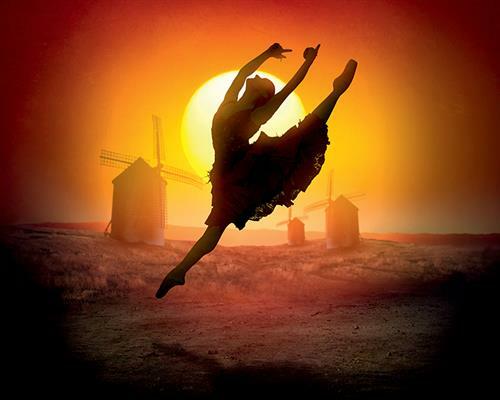 The 2019 Live Cinema Series continues at Gesa Power House Theatre screenings of the current Royal Ballet production of "Don Quixote" on Wednesday, March 20 at 6:00 p.m. and again on Sunday, March 24 at 2:00 p.m. This production is filmed live in London and rebroadcast internationally to select screens. Carlos Acosta's vibrant staging brings together the whole Royal Ballet Company in such roles as exuberant villagers, passionate gypsies and even fantasy flowers. The story follows Don Quixote’s picaresque journey to do deeds in honor of his imaginary noble lady, Dulcinea. Sunny, charming, funny and touching – Don Quixote is a ballet as full of uplifting emotion as it is of astonishing ballet technique. This screening runs approximately 2 hours 45 minutes including an onscreen introduction and one intermission. Beer, wine, popcorn, and snacks will be available for purchase, and may be taken into the theater. Reserved seating tickets ($15 Adults, $10 Students) will go on sale to the public on Thursday, February 7, online at www.phtww.com or by calling the box office at 509-529-6500. Wednesday, March 20 - 6:00 p.m. to 9:00 p.m.
Sunday, March 24 - 2:00 p.m. to 5:00 p.m.